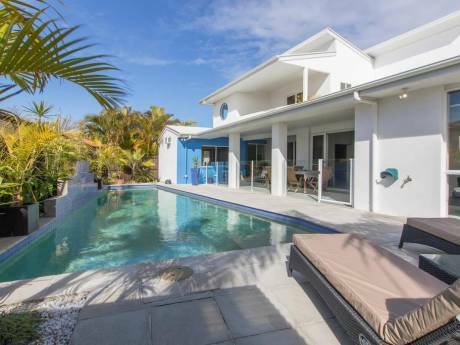 We have a very spacious modern house, beautifully fitted and fully equipped. 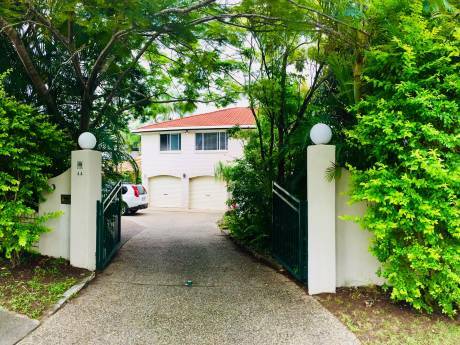 The house is on a 1200m2 block on an elevated position on the slopes of Buderim and has ocean views from Kawana to Caloundra. There are 2 large spa/jacuzzi in the bathrooms and a large sauna down stairs. The outdoor barbeque is covered and we mostly eat out in this area. Upstairs there is a large balcony with lovely breezes and views ideal for that afternoon glass of wine and recap the days events. We have a broadband computer system for the internet, a small gym and TV entertainment system with over 100 DVD's. For the more adventurous there are a couple of old mountain bikes which Bob uses to ride to Mooloolaba beach for a daily swim. This is a lifestyle location and we just love it up here and am sure you will. We have a good reliable car which would be available.We have an exchange in USA April 2006 and New Zealand in August 2007. We have accepted an exchange to Sydney in December 2007 and Vancouver in April 2008. We will now be looking for an exchange to Italy or Southern France in 2009. Hi, we are Bob (60) and Marg (53) both involved in our own businesses part time so dates are normally no problem to us. Bob is a retired serviceman (Air Force) and is a practicing Justice of the Peace now involved in the real estate industry. Marg is involved in real estate development and hasn't done much travelling...now the world is our oyster. We have adult children living an hour away. Bob's best friend is a retired Army Colonel who lives 5minutes away and would be happy to help any time. Bob is the physical one swiming and exercising each day. Marg enjoys cooking and entertaining, the movies and lunch with the girls. 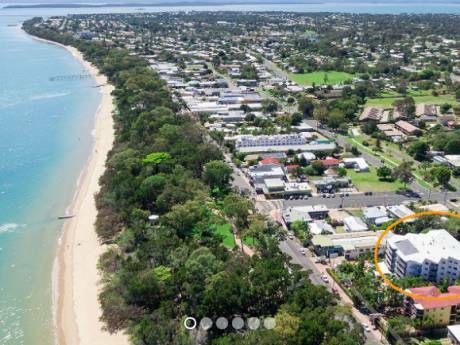 We are 3miles to famous safe surf beach and fine dining restaurants along the esplanade of Mooloolaba and Alexandra Headland, 40minutes to Noosa, 1hour to Brisbane (the Capital) and 2hours to the Gold Coast. So it is a great location to explore the Eastern Coast of Australia. There is a major airport 10minutes away for cheap flights to Sydney and Cairns to explore the Great Barrier Reef. Mooloolaba is a favourite holiday area for many Australians and overseas visitors (see www.maroochytourism.com). Steve Irwin tourist park is an easy 20minute drive as is the country hills of the Blackall Ranges. There are 2 golf courses within 3miles and a major shopping centre about the same distance.